It's tough to be a frog! Life isn't all lazy days and lily pads - it abounds with dangers. Can you help Frogger survive some perils and spring him home to safety? First hop your frogs across a busy highway. Then cross a raging river to reach the safety of home. But your frogs will have to leap away from one danger after anotehr before they're safe. Watch out for the tricky diving turtles...jump away from the frog-eating snakes...hop from the jaws of hungry alligators! 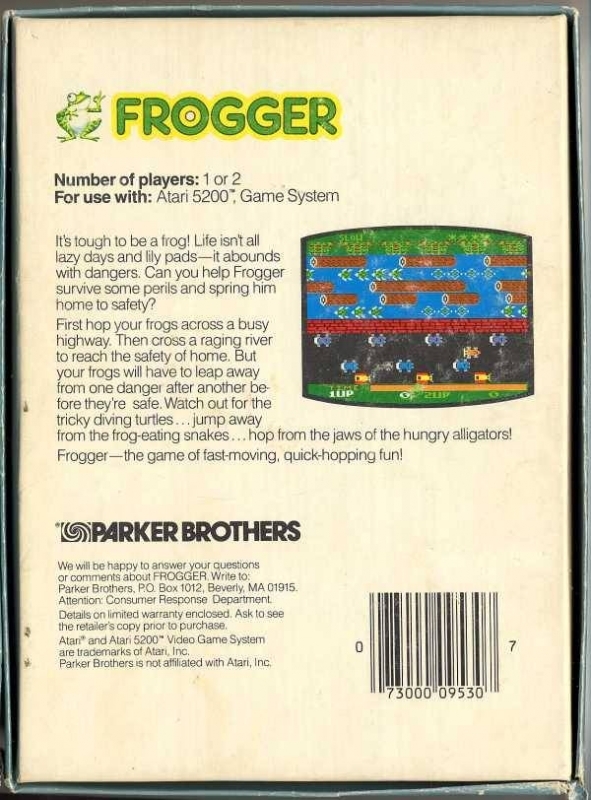 Frogger - the game of fast-moving, quick-hopping fun!